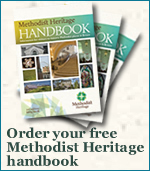 Take a tour around Britain and you can follow John's life from his childhood home in Epworth to his education in Oxford and the birth of Methodism as the 'Holy Club'. You can see his early preaching places and visit his first purpose-built building in Bristol. Visit John's last home in London, find out from our Museum of Methodism how Methodism was nurtured at his 'New Chapel' and spread worldwide, and reflect at his grave. Then see at Englesea Brook Primitive Methodist Museum (near Crewe) how, influenced by American revivalism, a working-class Methodism grew and flourished in the Victorian age. Or marvel at the vision of the Edwardian Wesleyan Methodists as they raised £1m guineas and built the impressive, domed Westminster Central Hall in London (opposite Westminster Abbey) as a centre for mission and outreach to the poor.